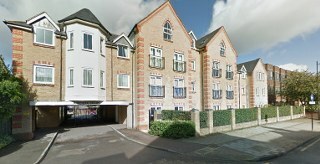 Planning a house removal around Orpington, BR5 is something that most people break into a cold sweat thinking about. Lots of people in the Capital do it over a period of time and wonder where to even start from! That’s where we are able to help. Being experienced in the removals industry, we understand how challenging your move would be and that is why our expert movers team in Orpington are on hand, to be able to help you! Moving Service being in business for several years knows the pressure you are already dealing with, trying to get all your ducks in a row, so call us right now on 020 8746 4402 for further information on how to have us assist you with your house move in BR5 area. The area is in South East London in Borough of Bromley, with the postcodes of both BR5 and BR6, and is classed as both an electoral ward and suburban town. It is identified as part of the London Plan of the 35 other places that come under the greater London area. Up until 1974, the area was officially part of Kent and is often still referred to as Orpington, Kent not Orpington, South East London. It is home to the Walnuts Leisure Centre, which is east of the high street including a gym, a sauna, swimming pool, squash courts as well as a hall that is used for badminton, basketball among other various sports such as fitness classes that take place in the area. The area also has two other leisure centres as well as an LA Fitness gym and a martial arts club. The area has a wide range of both primary and secondary schools, that come under the London Borough of Bromley. The Orpington Campus of Bromley College is also affiliated with Greenwich University. Transport in this area is exceptional as it is served by south eastern trains with trains going to Victoria, Blackfriars, St Pancras, Cannon Street, Grove Park, as well as Tunbridge Wells, Sevenoaks and Hastings. It is served by London TFL bus routes as well as Arriva bus services. The A208 and A224 pass through it as well. 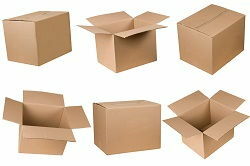 Orpington Moving Company : We’re Here When You Need Us Most! Hiring a man with a van in Orpington, BR5 seems like a simple process of finding a company on the Internet, finding their rates and booking however there are many things you need to consider as a house mover beforehand. One of the first things a removal company in Orpington, should be able to provide is a moving checklist to make sure that you have everything put into order, thus making life easier for you. Removals in London, do not need to be stressful or to a point where you feel anxious with people giving you the run around when it comes to both rates and service. We here at Moving Service ensure that our service is top - notch and affordable for you, so that you are able to complete your house relocation in peace. We offer different services such as furniture removals, house removals in BR5 area as well as small removals making sure we have you covered for whatever service you are searching for. For more information on booking a company that offers affordable and outstanding removals service, please call us on 020 8746 4402 and speak to one of our experienced advisers, today.